(14 November 2018) Combining influence, ideas and expertise, UNICEF’s International Council Meeting convened 12 to 13 November at UNICEF Innocenti’s offices in Florence, Italy, bringing together many of UNICEF’s most influential philanthropic partners, with the aim of tackling today’s most pressing issues for children and developing better solutions for every child. The Council is comprised of UNICEF’s most significant major donors, who meet annually to interact with the UNICEF leadership, learn from each other about their work with UNICEF, and guide the Council’s objectives and structure as a global platform for engagement. UNICEF Executive Director Henrietta H. Fore opened the two-day meeting with Council members and distinguished guests, including UNICEF staff and private partners, stressing the importance of looking to the future. “It’s extremely important that we look at new and different ways of doing things,” she said, citing UNICEF Innocenti’s research as a driver, pushing evidence-backed solutions forward. 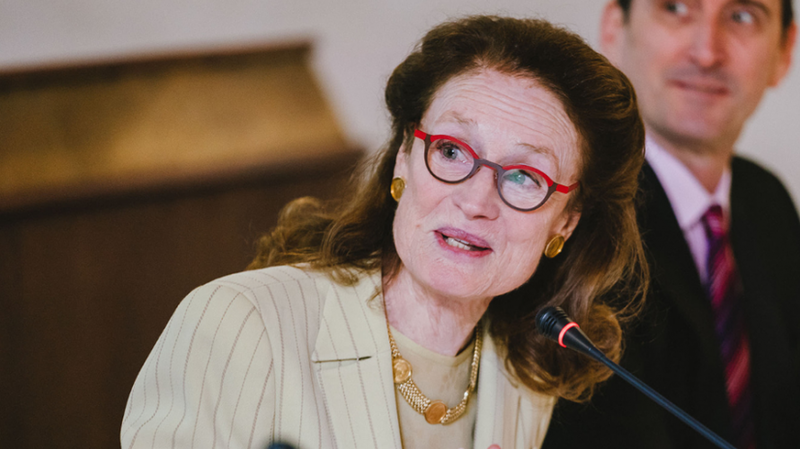 UNICEF Executive Director, Henrietta H. Fore, opens UNICEF's 2018 International Council Meeting in Florence, Italy. Fore spoke about how cutting-edge research by UNICEF Innocenti is helping inform better programmes and policies for children globally and urged the Council to support research for children. “Here at Innocenti, UNICEF is leading a unique research initiative called the Transfer Project to explore how cash transfers in Sub-Saharan Africa are helping the poorest children to survive and thrive. This research is now helping governments … reach millions of disadvantaged households with cash assistance,” she said. UNICEF Innocenti's Priscilla Idele, Yekaterina Chzhen, Jacob de Hoop, and Daniel Kardefelt-Winther present on why research matters now more than ever. 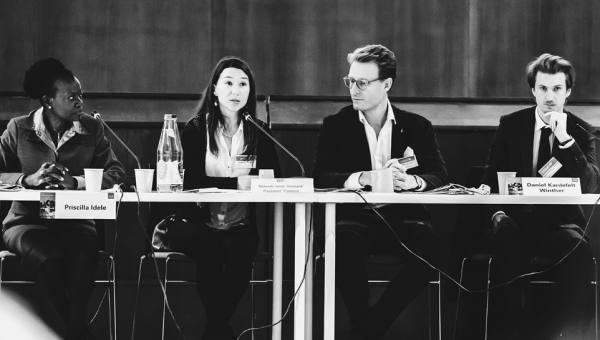 Cutting-edge research on child poverty and inequality, cash transfers in humanitarian settings, online risks and rights, and adolescent well-being were presented by UNICEF Innocenti researchers Yekaterina Chzhen, Jacob de Hoop, Daniel Kardefelt-Winther, and Prerna Banati. UNICEF’s Youth Forum, which included 46 young people from Afghanistan, Liberia, Nepal, UK, Ireland, Malaysia, Finland and Switzerland, gathered for the first time in Florence in parallel with the International Council Meeting. The Youth Forum explored the challenges and opportunities young people face around the world, and provided an opportunity to challenge assumptions, think differently and create shared visions for a better future. At the concluding ceremony, the youth presented Executive Director Fore with a series of recommendations about the most urgent issues that UNICEF and the world needs to address, including education for all children, gender discrimination, and child poverty. Their collective goals were represented in a mandala of rights they prepared over two days of work. They included supporting youth and adolescents through global networks, providing quality education for both girls and boys, using technology in classrooms, promoting meaningful participation of youth in all sectors, increasing education on peace building and conflict management, forging partnerships with governments and the private sector, and investing in life skills and livelihood opportunities for young people. In response, Fore said that UNICEF and the International Council has a long list of homework to follow up on. “We will be working hard on this,” she replied.